Flashback and Foreshadowing are literary devices that relate to time. Flashback interrupts the chronological order of the plot to recollect an event in the past. Foreshadowing gives clues and hints as to the fate of the characters. 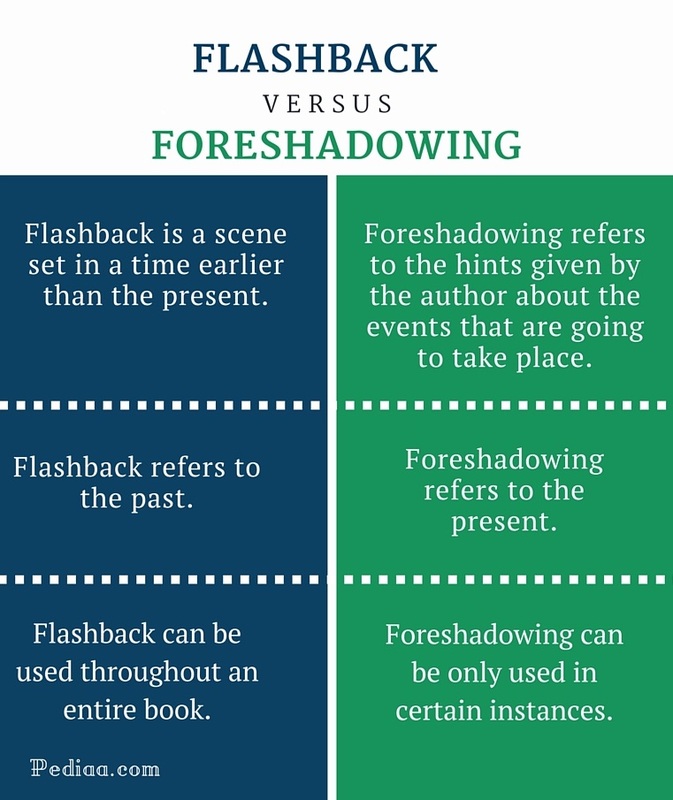 The main difference between flashback and foreshadowing is that flashback refers to the past whereas foreshadowing refers to the future. 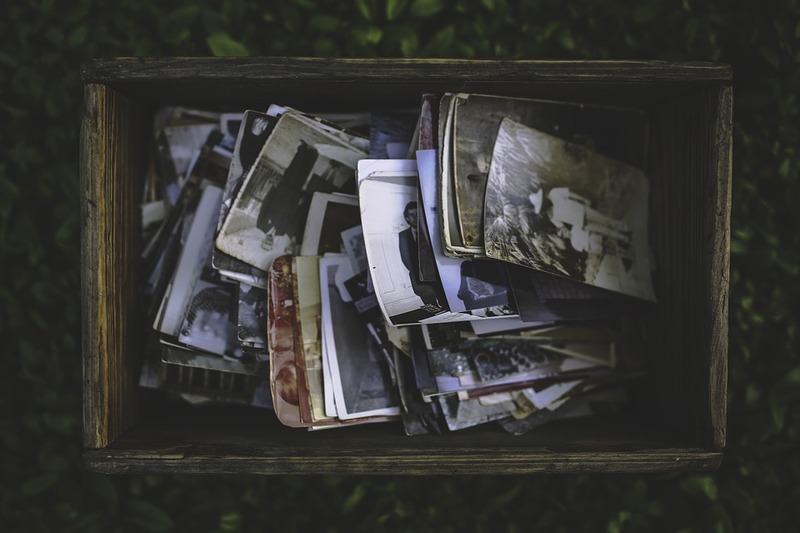 A flashback is a literary device that interrupts the chronological sequence of the plot in order to recall an earlier happening. This method is often used in films and novels to share a memory or a past experience with the audience. For example, imagine a story where a man is afraid of heights, there might be a flashback to the incident that made him afraid of heights. This literary device is commonly used by authors to provide background details of the characters. Flashbacks help the readers understand different motivations of the characters. They also act as plot structures and create tension in the story. Some stories are entirely in the form of flashback. For example, in Conrad’s Heart of Darkness, the character Marlow narrates about a journey he once took up the Congo River. Harper Lee’s To Kill a Mockingbird is also told entirely in flashback from Scout’s point of view. Foreshadowing is a figure of speech in which the author gives hints and clues about the events that are going to take place in the story. Authors often use indicative words and phrases as hints without spoiling the suspense or revealing the story. However, they may be subtle, and the readers won’t be able to grasp them in the first reading itself. Foreshadowing is used by writers to prepare the readers for some shocking twist in the story and to shift the mood of the story. Mystery and suspense writers also use foreshadowing to strength the sense of mystery in their story. The following phrases and clauses are some examples of foreshadowing from literature. “Go ask his name.—If he be married. Just as this dialogue indicates, Juliet’s wedding bed turns out to be her grave since she falls in love with her family’s enemy, Romeo and die with him. 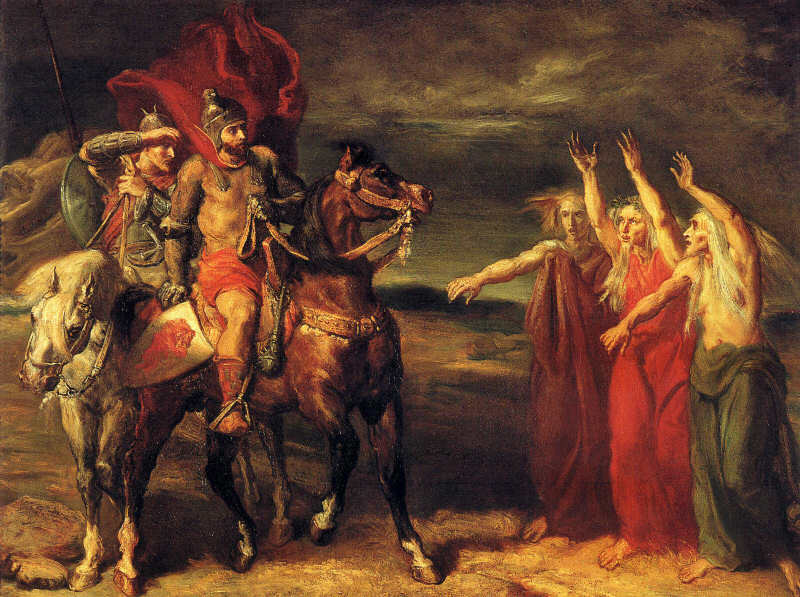 Sophocles’s Oedipus Rex, Oedipus’ words to Tiresius “You’ve lost your power, stone-blind, stone-deaf – senses, eyes blind as stone!” turns out to be an example of foreshadowing as Oedipus loses all his power and becomes blind and deaf at the end. Flashback is a scene set at a time earlier than the present. Foreshadowing refers to the hints given by the author about the events that are going to take place. Flashback refers to the past. Foreshadowing refers to the present. Flashback can be used throughout an entire book. Foreshadowing can be only used in certain instances.